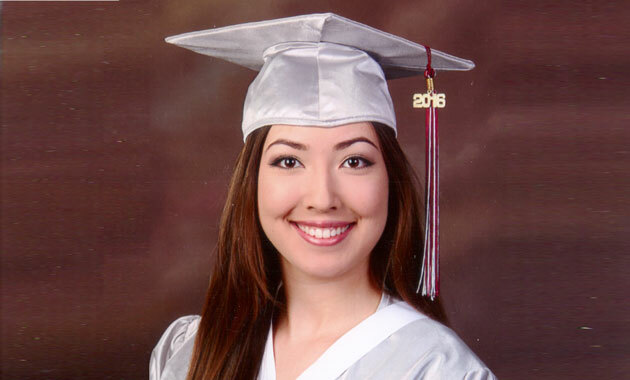 My name is Nina – and I’m a proud recipient of a scholarship from the Marine Corps Scholarship Foundation. I wanted to take a moment to share my story with you. Becoming a nurse has always been my dream. When I was 13 years old, my mother was diagnosed with stage 3 stomach cancer; during her final days, there was a hospice nurse that cared for my mother, and her compassion and kindness inspired me to pursue this career. My father, Gunnery Sergeant Michael Allen USMC (Ret. ), who served in the Marine Corps for more than 20 years, raised my siblings and me on his own. I always knew that paying for college would be a challenge for our family. But the Marine Corps Scholarship Foundation stepped in when we needed them most, and today they’re helping make my dream a reality. When I graduate with my nursing degree from the University of South Florida, I’ll be living out the values my Marine father taught me: to show compassion to those less fortunate, and to give back to my community. The Scholarship Foundation is a dependable resource for Marine families like mine, and they offer support to every eligible applicant; all you have to do is apply. But we need your help to spread the word. I hope you’ll take a moment to learn a little bit about the scholarship opportunities available and share this message with a Marine family in your life. You can read more about scholarship opportunities at the Marine Corps Scholarship Foundation here. Thank you for the opportunity to pursue my educational dreams – and for giving me the chance to help others in our Marine Corps family.